Since January 2004 we have been publishing a monthly newsletter that covers a topic related to SPC. One of our objectives has been to make the website a place where people can go for information on SPC and related topics. We believe our newsletters have helped us reach this objective. Over time, the number of newsletter subscribers has risen from about 50 to 6,000. This month we think it is time to review our past newsletter topics to let the many new users know what is available. There is a lot of information and knowledge in our newsletters. Many contain example data and solutions. All our past newsletters are available on line. Please enjoy this review and visit our website to read the past newsletters. The review is divided into the topics shown above. We also want to know what you would like to see for future topics. Please email us with your suggestions. We are also happy to announce the release of the 4th version of SPC for Excel set for September 2008. Please check out this version's new features that are described in the last section of this newsletter. This takes us back to where everyone needs to begin whenever you are dealing with statistical process control - with variation. To effectively use SPC, you must understand the concept of variation and, in particular, the difference between common and special causes of variation. While variation is really part of each of our newsletters, we have five that address the issue directly. If you don't know the difference between common and special causes of variation, this is where you need to begin. The funnel experiment is a great example of what happens when you confuse special and common causes of variation. We offer customizable PowerPoint training modules on many of our newsletter topics. Any study of variation is incomplete without understanding the teachings of Dr. W. Edwards Deming. 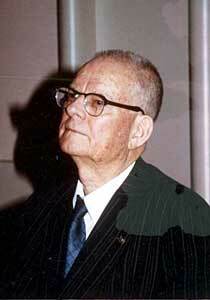 Our newsletters include a four-part series on the teachings of Dr. Deming. Dr. Deming was a remarkable man. He is often credited with helping the Japanese rebuild economically after World War II. The Deming Prize is still given to companies for major advances in quality improvement. (Note: permission to use the Media Gallery photo of Dr. Deming granted by Diana Deming Cahill of the W. Edwards Deming Institute). To understand the system of profound knowledge, you must understand what a system is and what the "aim" of a system is. You must also understand variation and realize that the true benefit of this understanding comes from how you lead people. You must understand the theory of knowledge, and finally you must understand motivation and psychology. You don't have to be an expert in each of these areas. However, you must know something about each area because they are interrelated. Our four-part series addresses each of the bodies of profound knowledge. Our SPC for Excel software easily constructs and updates histograms, control charts and many other SPC tools. Click here for more information. Control charts, of course, are the workhorse of statistical process control and represent the topic of many of our newsletters. A control chart is a movie of your process over time. It is the way that your process communicates with you. The control chart will tell you if everything is working as the process was designed (just common cause variation present) or if there is a problem (special cause variation present). All you have to do is listen. To listen, you must be able to interpret a control chart. This was the first of our newsletters on control charts. The newsletters have covered three attributes charts (c, p and u) as well as two variables charts (Xbar-R and X-mR). With the attribute data, we covered how to handle the case when you have small sample sizes for the p and c charts. We also had a three-part series on rational subgrouping for the Xbar-R charts. But there have been many other topics as well, including how to use control charts effectively, what it means to be in statistical control, how to select the right control chart, what to do when the chart is out of control (control strategies) and how to handle chunky and rare event data. Finally, we showed how SPC can be used in a warehouse for process improvement as well as for on-time delivery. Our customer complaint SPC package helps you easily monitor customer complaints. The Pareto diagram and the histogram are often referred to as bar charts. The Pareto is used to separate the "vital few" from the "trivial many" problems or causes. Histograms are used to estimate the location, spread and shape of a set of data. Our second part on the histogram newsletters showed how you can use histograms to monitor incoming material from suppliers. Collecting and analyzing data are a vital part of process improvement. It is important to be sure that the data we are collecting are accurate and precise. Our first newsletter on test methods examined how to use control charts to monitor the measurement system. We also have a four-part series on the variables measurement system that covers stability, bias, linearity, and gage R&R. Our Measurement Systems Analysis is based on the 3rd Edition of AIAG's Measurement Systems Analysis manual. "Is the process capable of meeting specifications?" This is the key question that must be asked in the end. Does the process really do what we want it to? This is the issue of process capability and involves terms such as Cpk and Ppk. Our three-part series on process capability provides an in-depth explanation of process capability. One major aspect of problem solving is root cause analysis. What caused the problem to occur? How do we know it is the true cause of the problem? Our newsletters cover scatter diagrams to see if one variable is linearly correlated to another. Also included is how to create and analyze cause and effect (fishbone) diagrams. The Failure Mode and Effect Analysis newsletters resulted in the most visits to our website. Our most recent newsletters have looked at modeling a process using linear regression. We also have offered a variety of miscellaneous topics. These includes an explanation of standard deviation as well as skewness and kurtosis. Methods of comparing multiple processes, a ten-step problem solving model, a method for data collection and a model for process management have been covered. We have reviewed our on-line newsletters and hope you find this information useful. If you have any comments about our newsletters or have suggestions for future topics, please let us know.